In the rare moments when he reflects on his career, as on this September afternoon before his last game in Baltimore’s Camden Yards, or when he has neither bat nor glove in hand, Derek Jeter absentmindedly pulls on the bill of his cap with two hands, thumbs on the underside, fingers atop. There it is again. 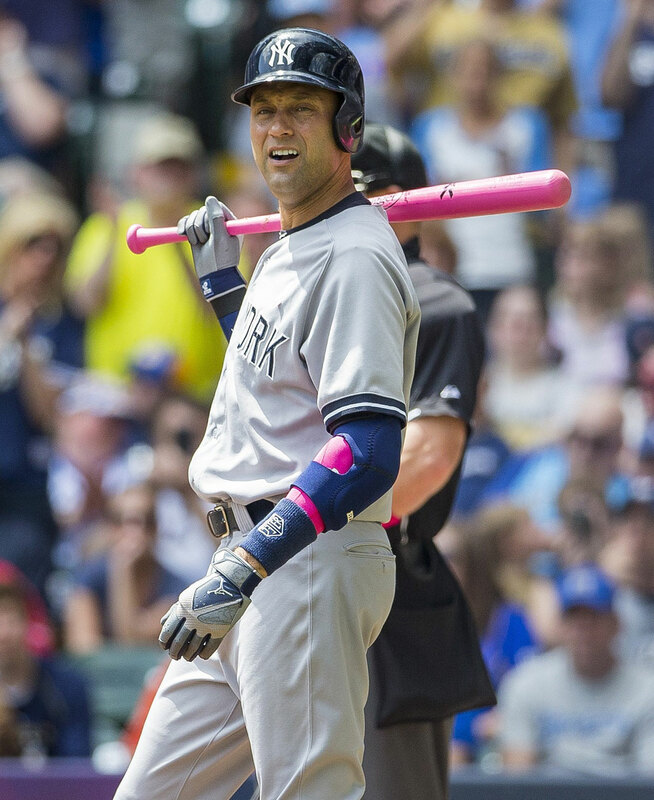 Even the small idiosyncrasies of Jeter have become so well-known. In the course of his career, Jeter (above in 2001) has had much to celebrate: No other active player has taken part in so many victories. He is sitting in a golf cart outside the Yankees’ clubhouse, fresh from his daily work in the batting cage. Only two weeks remain before the most familiar baseball player there ever was plays for the final time. Is that a change for the better?” I ask him. He tugs on the brim of his cap. 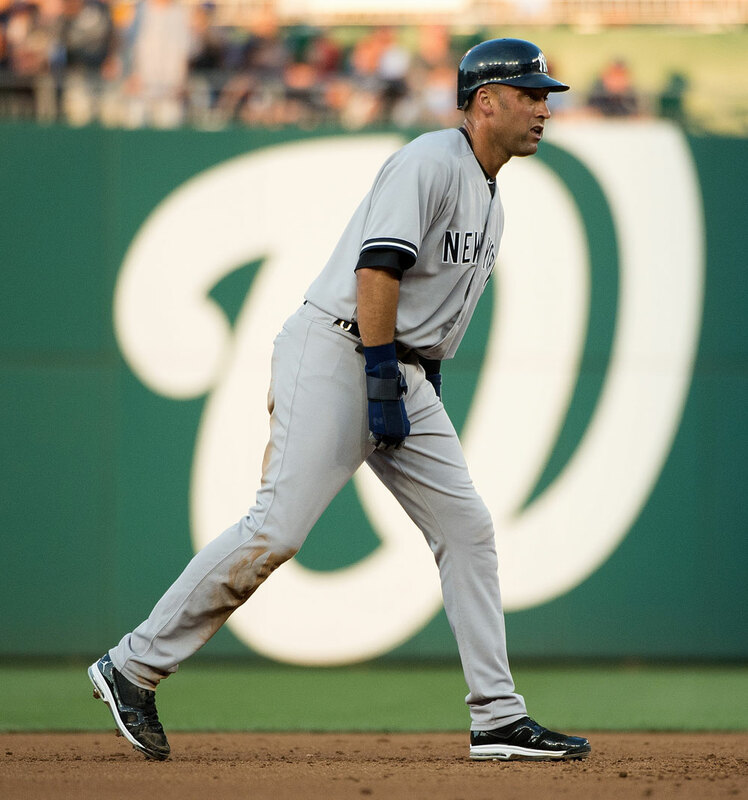 Derek Jeter may not be as famous in the legendary sense as Babe Ruth or Willie Mays, but he is the most familiar player there ever was, because no other ballplayer spent more time in the public eye than Jeter. He is the most influential and popular player in the sport’s greatest era of growth. It’s not just that he has gotten the most hits and played the most games since the 1994–95 players’ strike. It’s also that he grew up as a champion New York Yankee, spending nearly every October on national television. 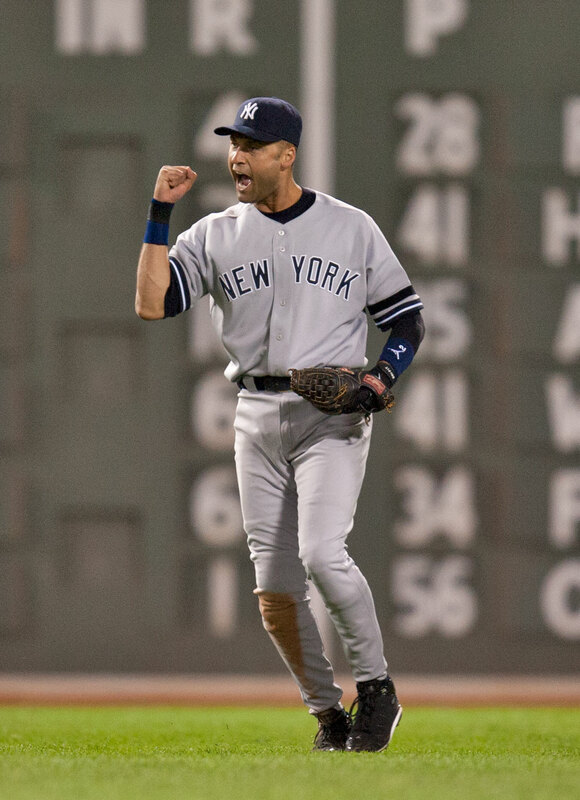 With the help of an expanded postseason and the last foreseeable dynasty, Jeter played nearly an entire season’s worth of playoff games—158, more than anybody in history. He played 71 times on Sunday Night Baseball, also more than any other player. He has hits in 42 different ballparks. 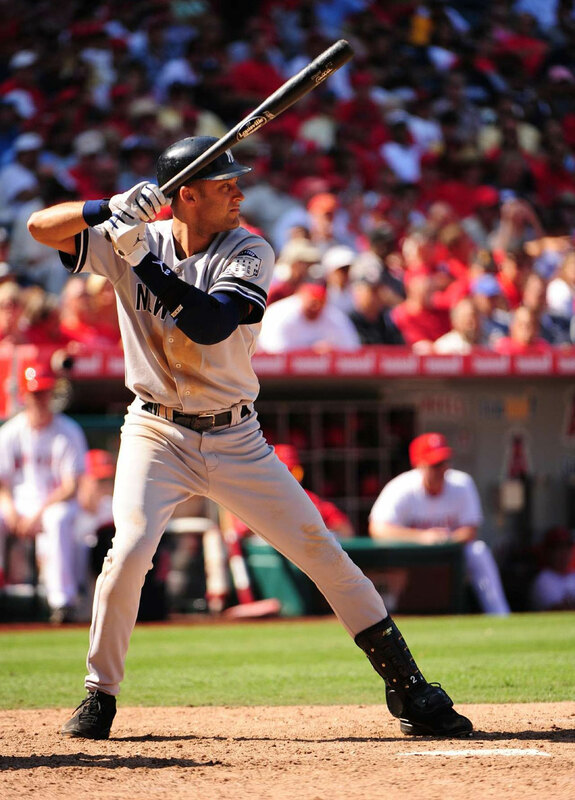 His number 2 jersey has been the top-selling jersey in baseball in six of the past seven years, missing the mark only during his injury-shortened 2013 season. 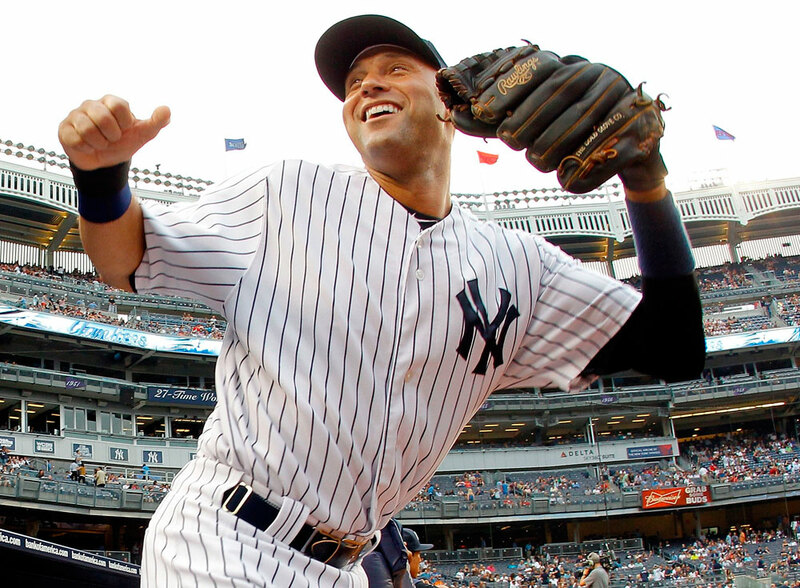 Day-to-day excellence was the bedrock of Derek Jeter’s career. But his mystique was built on his signature performances under the game’s brightest spotlights. No one has been covered more or played in front of more people—either live or on a screen of some kind. Hence the familiarity with all things Jeter. It’s not just the Brim Tug. So much about him is famous enough to be recognizable by shorthand. The Maier Homer. The Flip. The Dive. Mr. November. The Jump Throw. 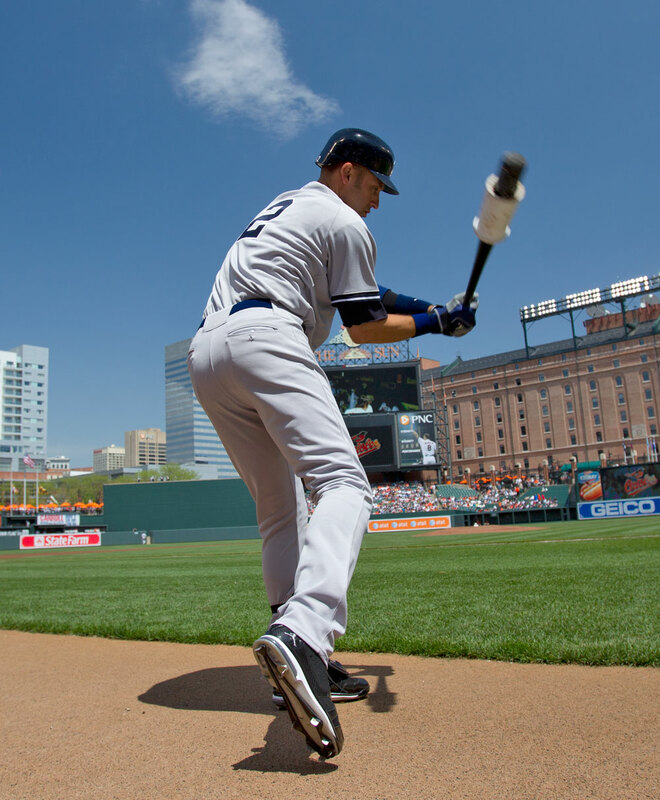 The Jeterian Swing. The Homer for 3,000. The Five Rings. The Fist Pump. Captain Clutch. Number 2. Many of those who would be Jeter fell hard around him. Five of the top 10 vote-getters for the 2002 All-Star Game (the last season before PED testing) would be tainted by connections to steroid use. Meanwhile, Jeter arrived in the nation’s largest media market at the age of 20 and put in 20 seasons there. The only other baseball player to last 20 years in New York is Mel Ott, and he was finished with the Giants in 1947, before the World Series was broadcast on national television. Jeter played his first game in 1995, two years after the Web browser was introduced; he won his first championship in ’96, the year of the first high-definition broadcast; he was named to his first All-Star Game in ’98, the year Google was founded; he was third in the American League MVP voting in ’99, the year the commercial camera phone was introduced; he won the World Series MVP in 2000, as the Yankees began to form the YES Network; he notched his 2,000th hit in 2006, the first season with TMZ and Twitter. Yet here he stands, through two decades in Gotham—during the ascent of an information age that devalues privacy and discretion—with integrity intact, hardly a scratch on him. The element most associated with Jeter is winning: Over the past 100 years only Pete Rose, Hank Aaron and Carl Yastrzem ski played in more wins than Jeter’s 1,722 regular and postseason victories, and combined they have fewer World Series rings. But a close second on Jeter’s career marquee is the way he kept above the fray. “At times probably a lot of the media gets frustrated with me,” he says. “But for me the only way I’m able to operate here for this long is I don’t like negativity. I don’t like to talk about it. I don’t like to answer questions about it. 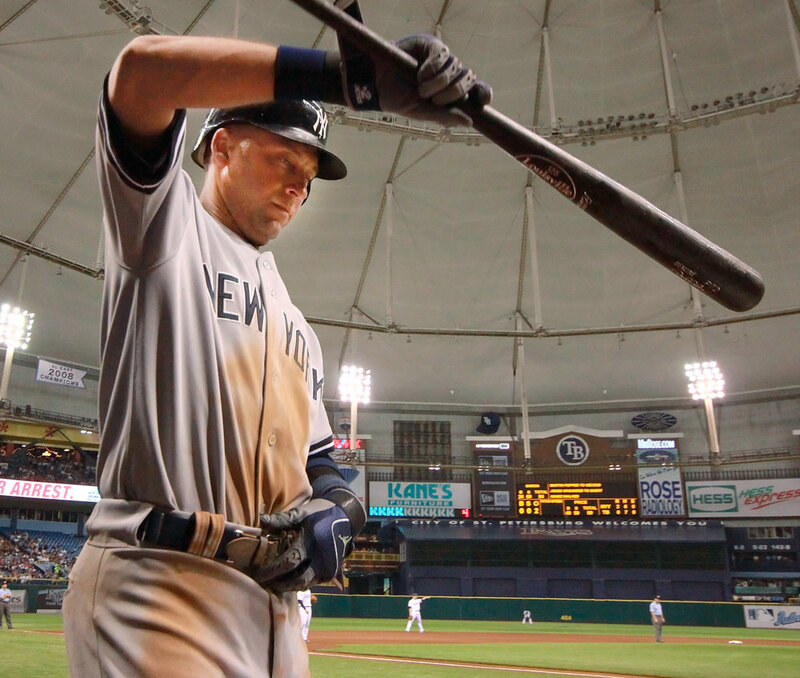 The last days of Jeter’s career have been a celebration of what he represents, especially with his .255 batting average for the worst Yankees team in 22 years providing few current highlights. Fans in Arlington, Texas, cheered wildly when a call was reversed against their Rangers in favor of Jeter’s getting a hit. Fans in Kansas City gave him a standing ovation after his final at bat there, a groundout. Baltimore fans ran down aisles in droves to snap his picture as he stood in the on-deck circle. Fortune ranked him the 11th greatest leader in the world, 22 spots ahead of Apple CEO Tim Cook. Astronauts in the International Space Station tipped their caps to him in zero gravity. Gene Simmons of the rock group KISS called him “a very powerful and attractive man.” A New Jersey farmer created a five-acre corn maze in the shape of his face. His game-used uniforms are selling for $25,000. How could the most familiar of all players have held up this long and this well? I sat with him for a series of exclusive interviews in his last month as a player to search for ­explanations—to have Jeter explain Jeter. The day Jeter reported to the Gulf Coast League Yankees in Tampa in 1992 he found himself standing over a bin filled with wood bats. 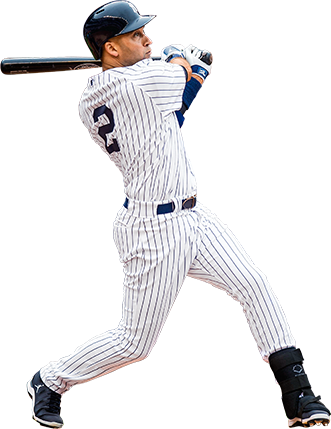 Jeter, the Yankees’ first-round draft choice and sixth overall, had used only a metal bat at Central High School in Kalamazoo, Mich. He picked through the wood bats until he found one that in size and shape most resembled what he’d swung in high school. It was a Louisville Slugger P72, a model first crafted in 1954 for a minor leaguer named Les Pinkham. This one was 34 inches long and weighed 32 ounces. Jeter stood out, even as a newly minted pro, with the Yankees’ Instructional League team in 1992. I ask Jeter who influenced this belief in routine. If a praying mantis could swing a baseball bat, it would hit like Jeter. 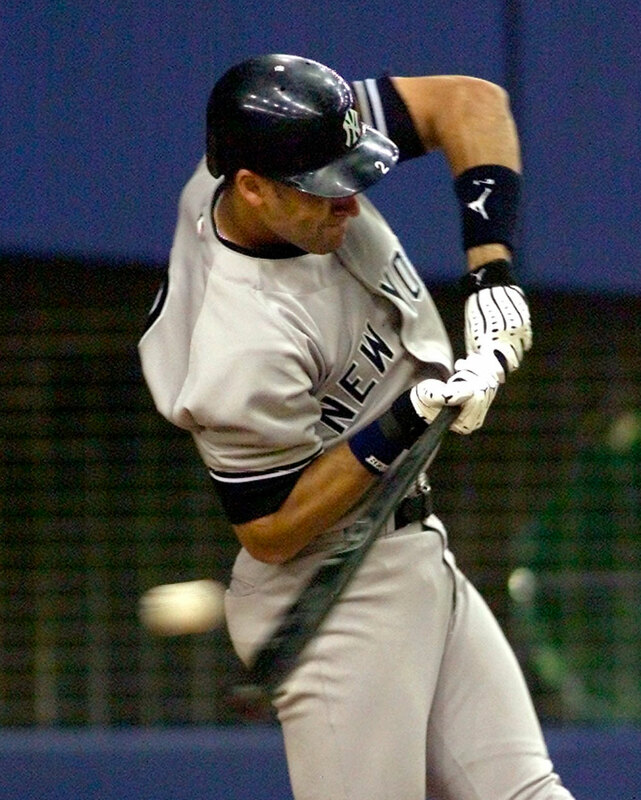 His swing is a series of bent limbs folding and unfolding around a torso bent at the waist that falls toward the plate. His left foot comes up and down twice. His hands dip the bat barrel back slightly before it comes forward. His left elbow flies out. The last guy to put up such great numbers with such an unorthodox swing was Arnold Palmer. An influence: Gary Denbo. 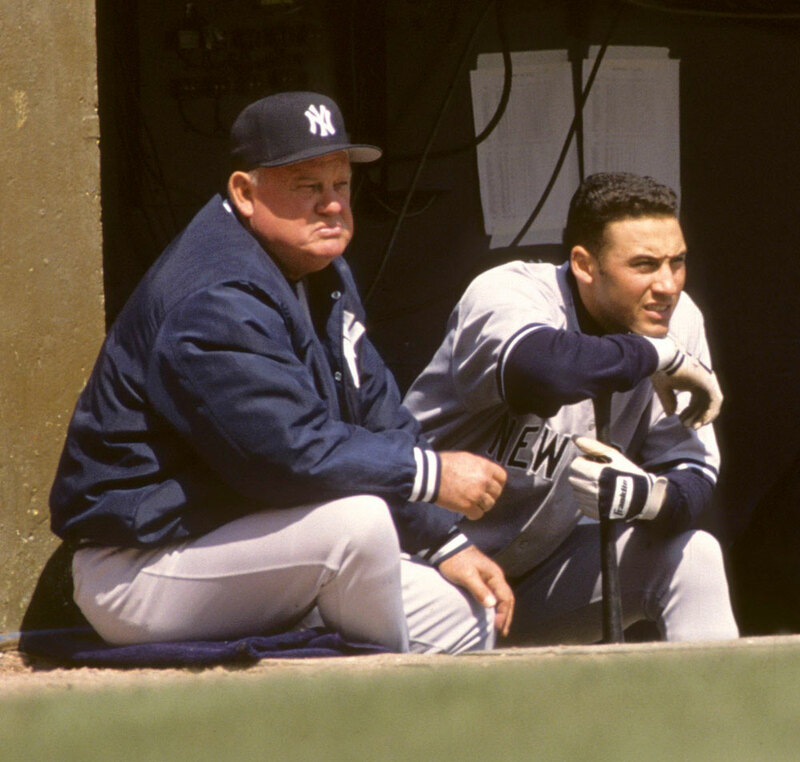 He was Jeter’s first manager, during that summer of 1992. Denbo didn’t try to change Jeter’s swing. 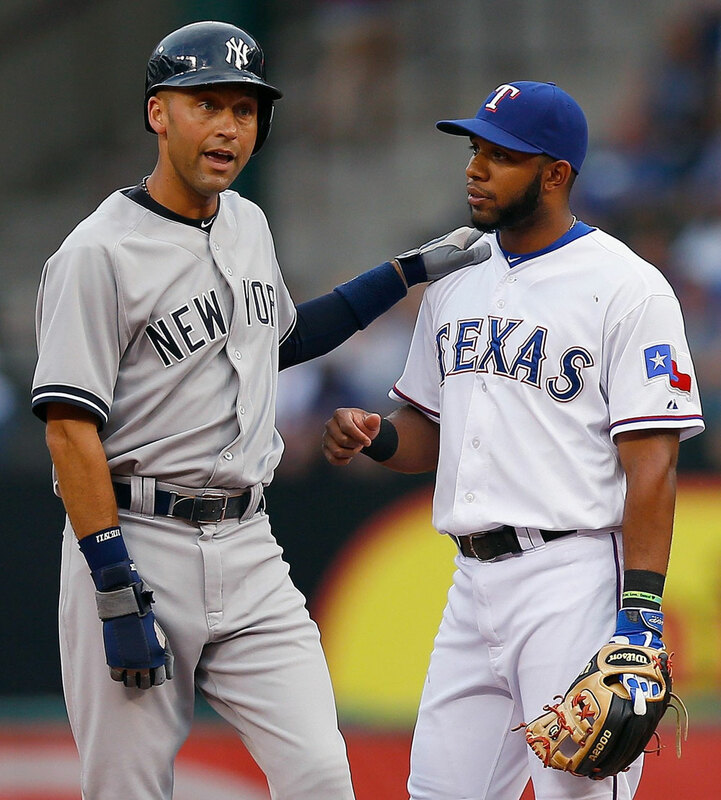 “He saw what I was and just tried to make it better,” Jeter says. 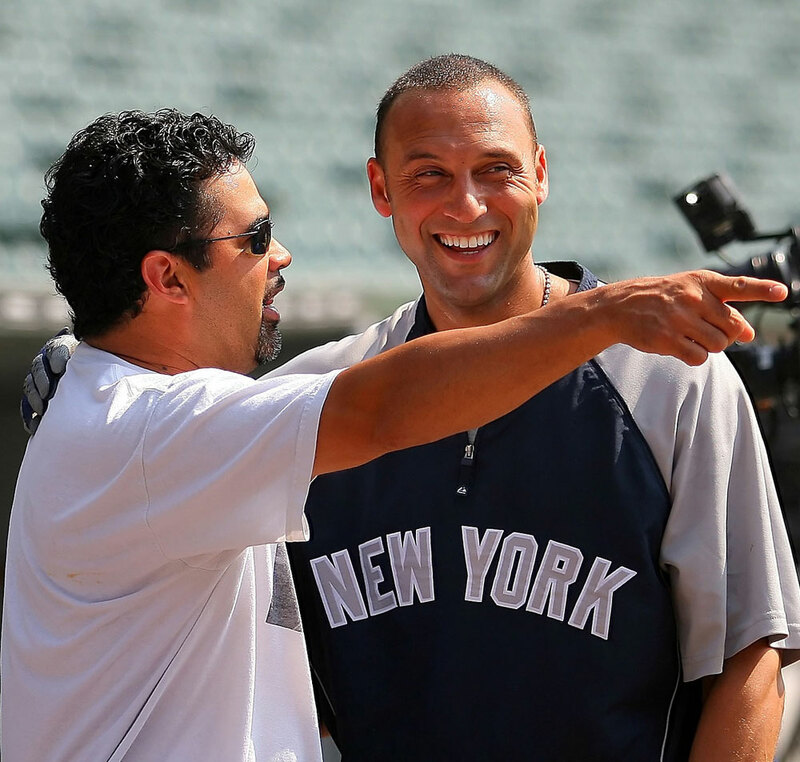 Except for five seasons when Denbo was with other organizations, Jeter has worked with him every off-season. Another influence: Gerald Williams. 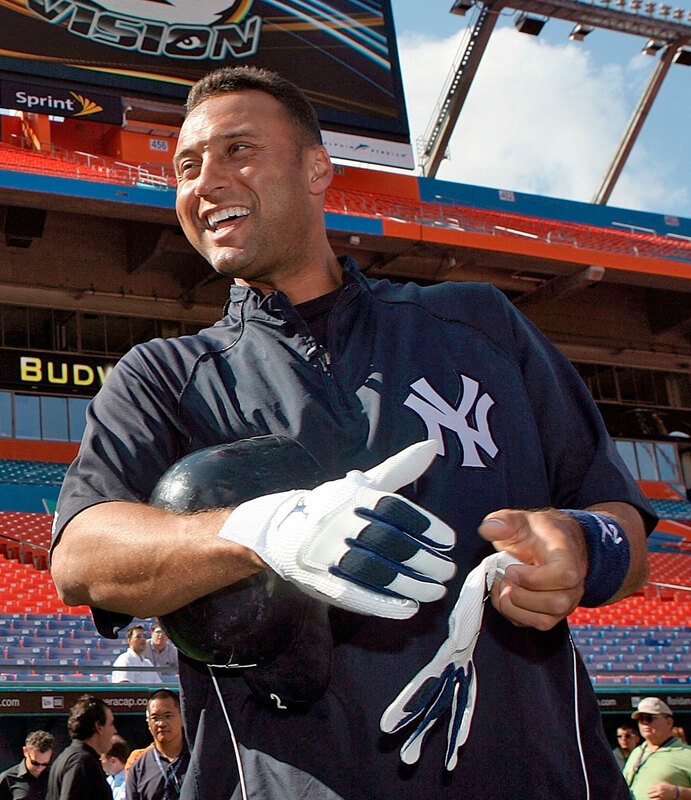 The Yankees invited Jeter to his first major league spring training in his second season out of high school. The ’93 Yankees were loaded with veterans who enjoyed picking on young players. Jeter didn’t know any of them. 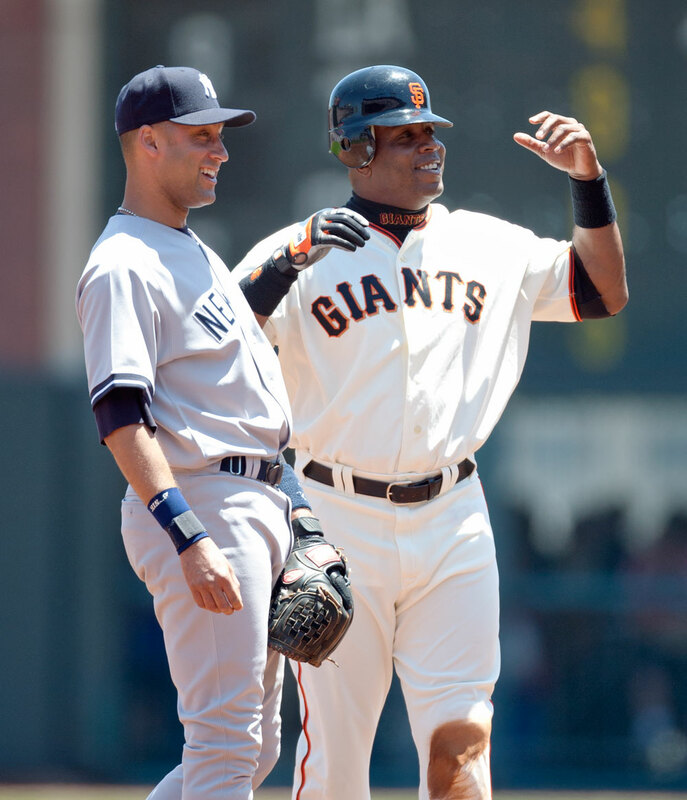 Williams, 26 then, looked out for the 18-year-old Jeter like a big brother, always ready with counsel and encouragement. The Yankees assigned Jeter that year to Greensboro, where he committed 56 errors, and then to the Instructional League in Tampa. 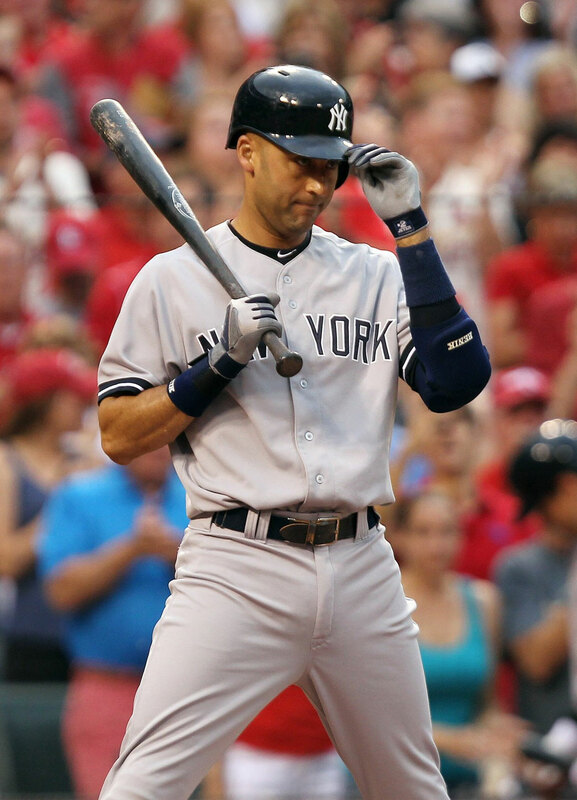 Because of an injury to his left hand, Jeter was unable to hit in Tampa. It became a six-week defensive boot camp under another influence, coach Brian Butterfield. Butterfield changed the way Jeter threw (shortening his arm swing so that he didn’t drop the ball below his waist) and the way he caught (showing him how to “take” the baseball rather than always catching it with “give”). 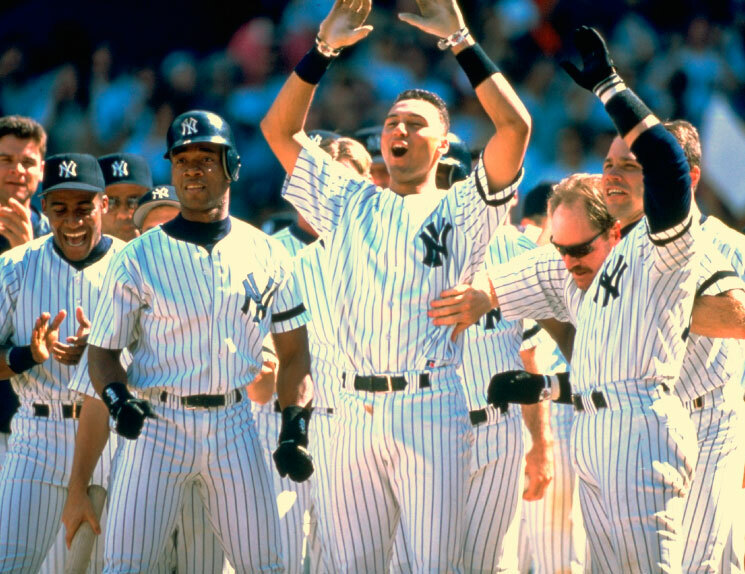 Jeter made his big league debut two years later, playing 15 games in 1995. The next season, when Joe Torre replaced Buck Showalter as Yankees manager, New York had its starting shortstop for the next 19 years. Jeter was assigned a locker in the same row as a 36-year-old outfielder who came to the park every day with a smile, even though he was a seven-time All-Star reduced to part-time work. Tim Raines, the one Yankee who could laugh off a slump or needle Paul O’Neill about beating up a watercooler, became another influence. The only time Jeter left a postseason game before the eighth inning was when the Yankees had a chance to win the 2001 World ­Series in Phoenix. Their Game 6 potential clincher deteriorated rapidly when the Diamondbacks hit Andy Pettitte like they knew what was coming. 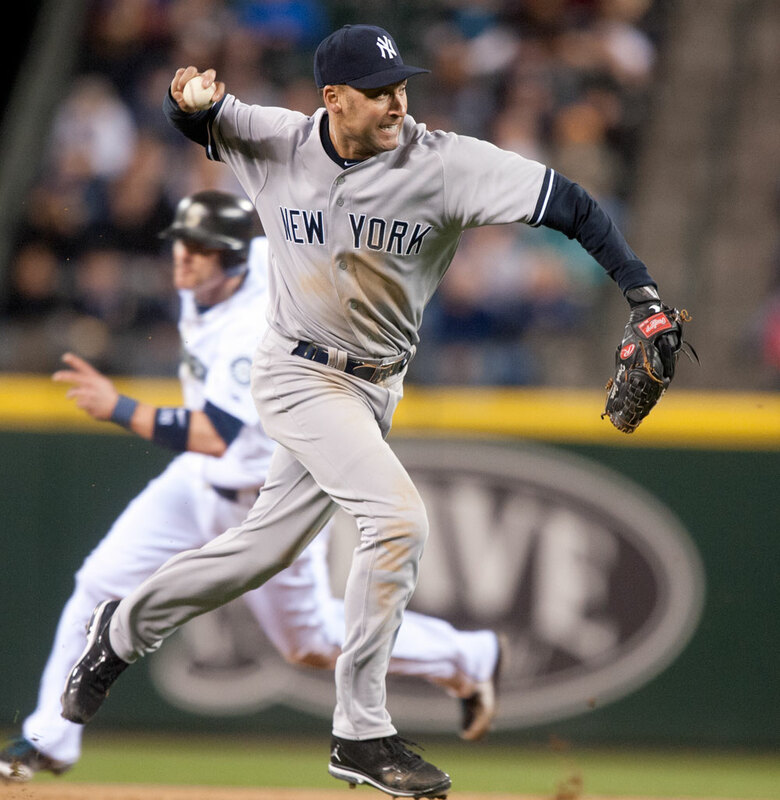 It turns out they did: Pettitte was tipping his pitches. The score was 4–0 when Torre replaced him in the third inning with a journeyman reliever named Jay Witasick. Eight of the next nine batters raked Witasick for hits. 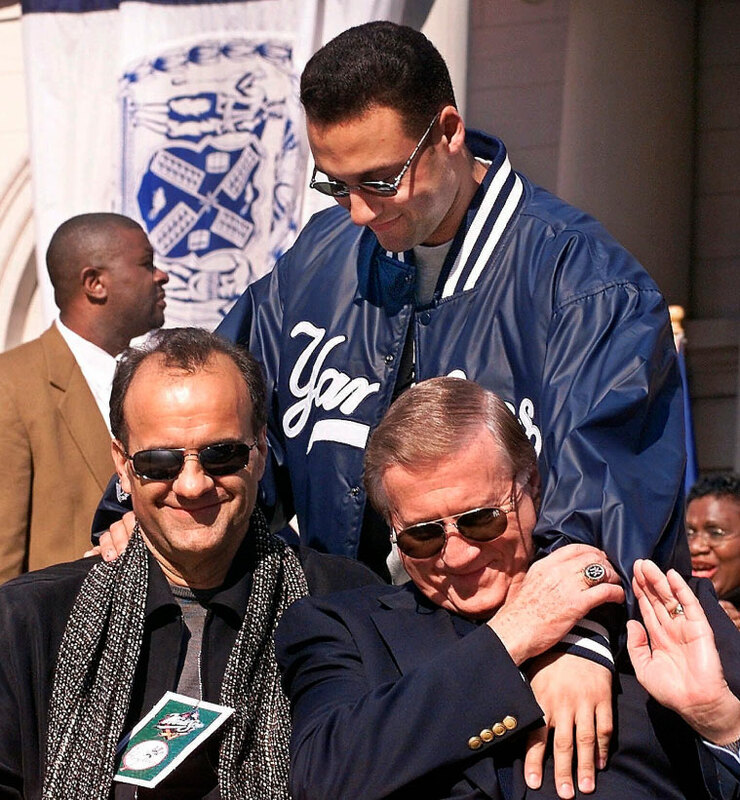 By the time Torre pulled Witasick, it was 13–0; the game was so hopeless that in the fifth Torre pulled Jeter, catcher Jorge Posada and first baseman Tino Martinez. 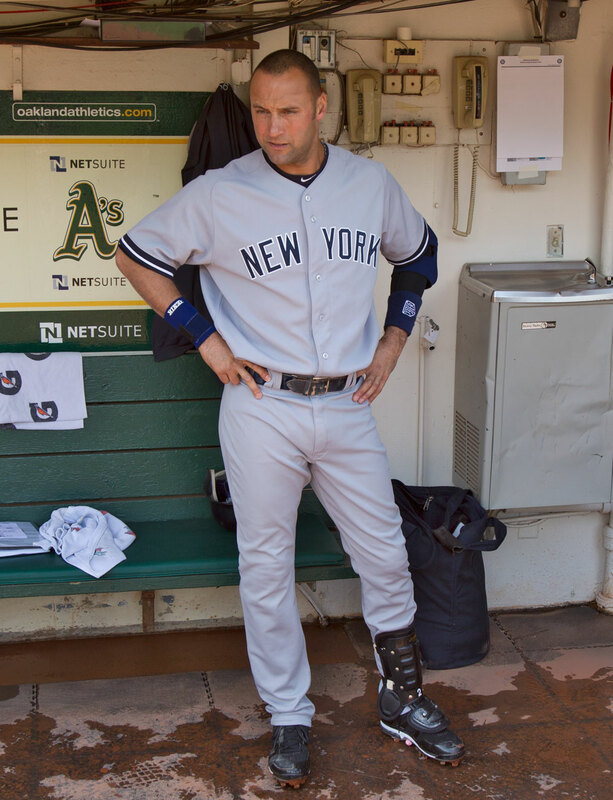 Jeter left the dugout for his locker to change from his metal spikes to turf shoes. Witasick, who had allowed eight earned runs, still the most in World Series history, sat in the training room. What Jeter heard from him there infuriated him. I ask him if he can change a teammate in that regard. Since joining the Yankees Jeter has taken counsel and inspiration from his teammates, evolving into a leader who puts a premium on loyalty and commitment. I remind Jeter about his reputation for how he treats teammates, media members or associates who cross him. 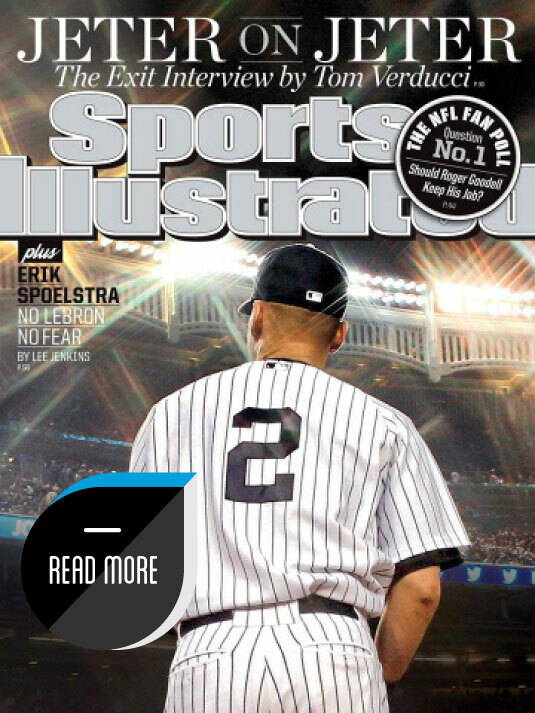 Jeter is said to draw a clear line when it comes to loyalty. Cross it once—dare to wrong him—and he coldly wants nothing more to do with the offender. You’re off his team for good. I bring up Chad Curtis, a former teammate. 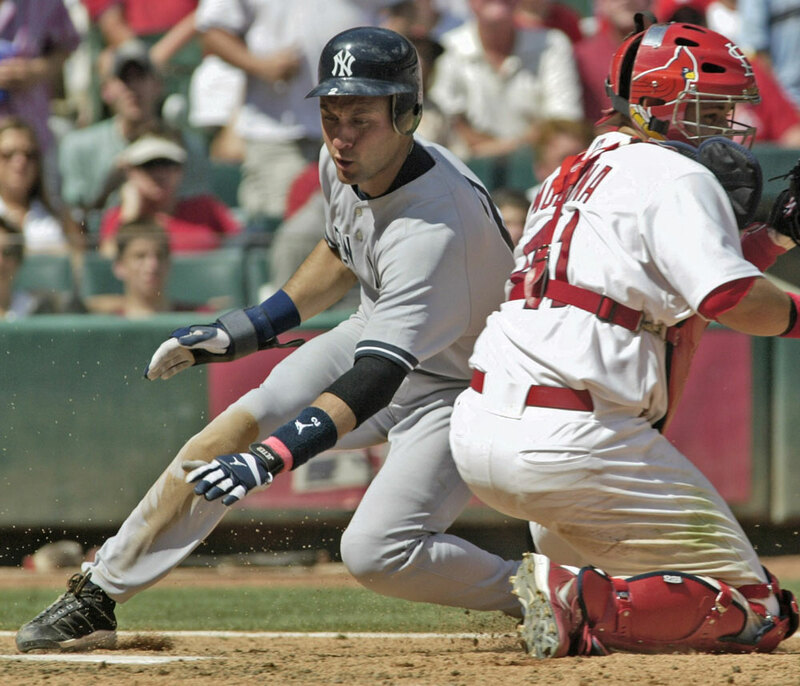 In 1999 the Yankees and the Mariners engaged in a nasty bench-clearing­ brawl. As players and coaches were being separated, Jeter and Alex Rodriguez, then with Seattle, were smiling and chatting with one another. 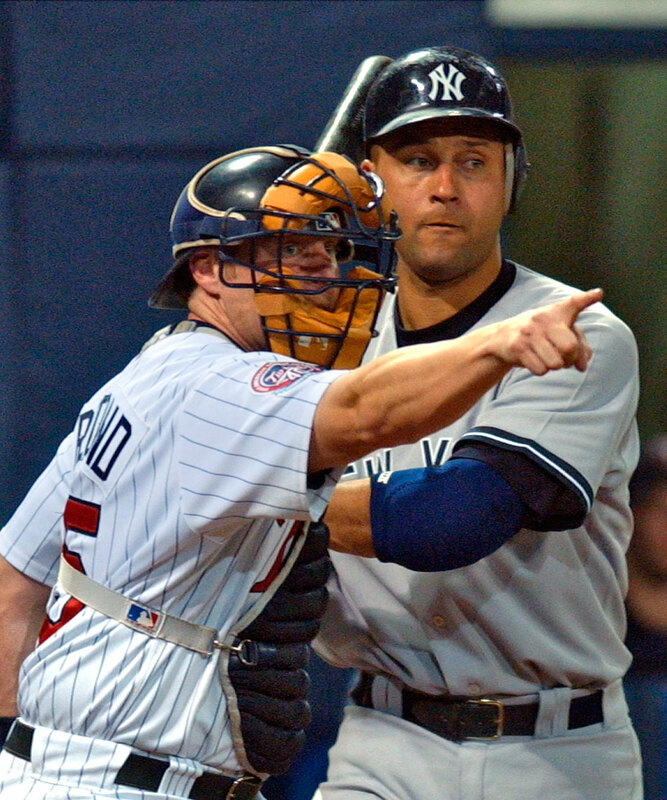 Curtis engaged in an argument with Jeter in the dugout, then continued chastising him after the game in the clubhouse and in front of reporters. Four months later the Yankees traded Curtis to Texas for two minor leaguers. Rodriguez would later admit to using steroids at the time. 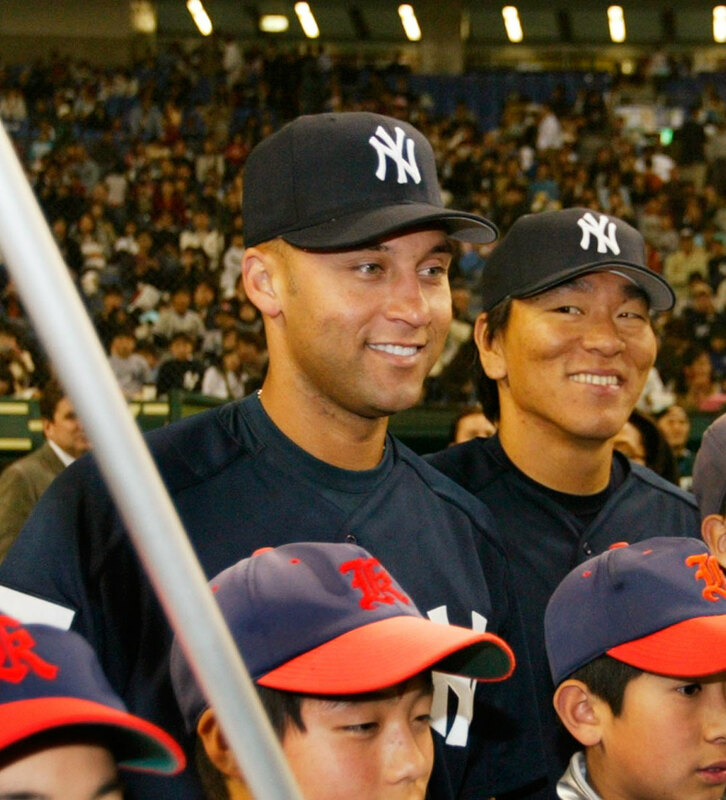 He became Jeter’s teammate in 2004; their relationship was cordial but lukewarm. 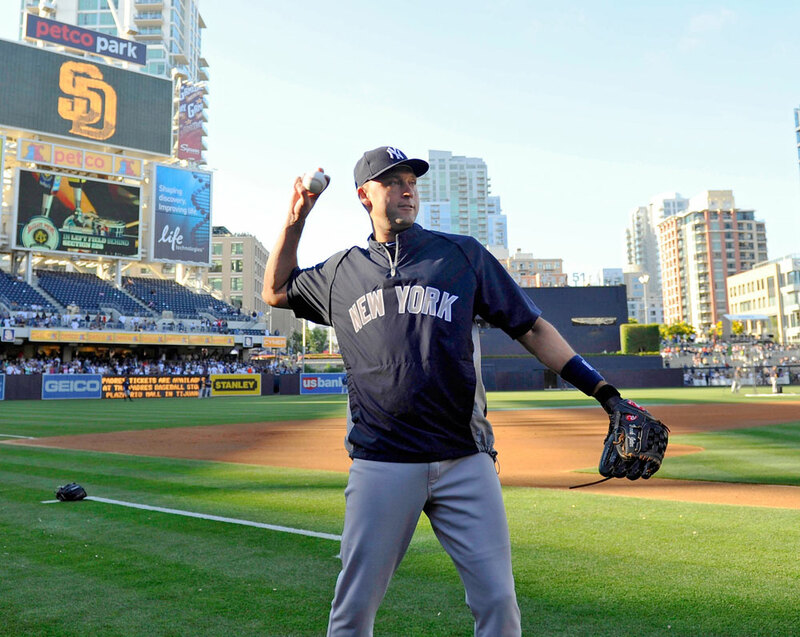 Rodriguez was banned from baseball in Jeter’s final season for his continued use of ­performance-enhancing­ drugs. 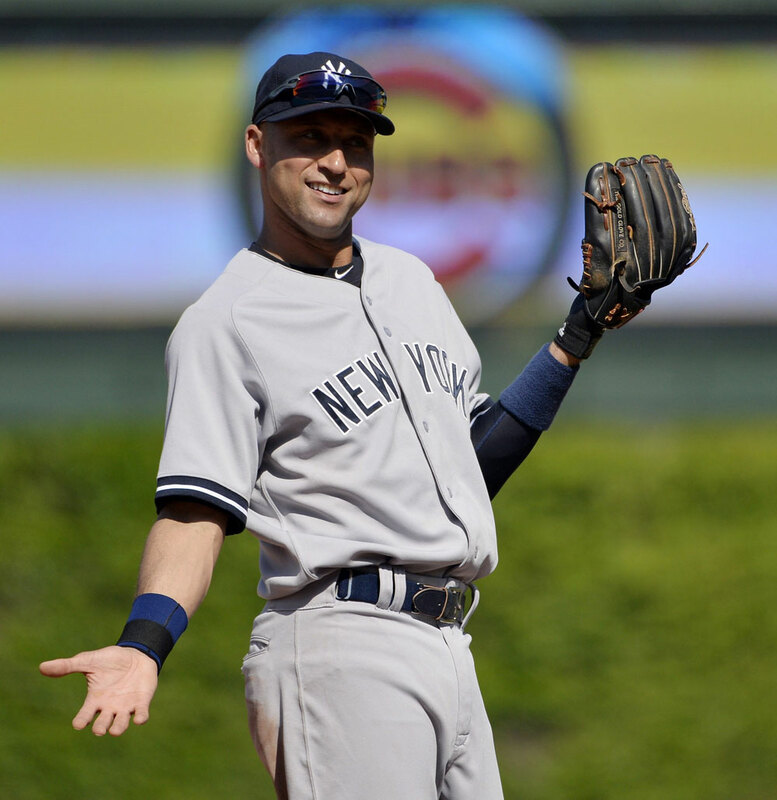 “Don’t bring it up,” Jeter says quietly, motioning to turn off the tape recorder. He has to go now. It’s time to hit. “He can’t stop quickly and throw hard. You can take the extra base on him. . . . He can’t run and won’t bunt. . . . His reflexes are very slow, and he can’t pull a good fastball at all.” Two months after the report ran in the Oct. 22, 1951, issue of Life magazine, Joe DiMag­gio retired. DiMag­gio hit .263 that season, 62 points below his career average. He was 36, complaining as he left how the introduction of night baseball took years off his career. 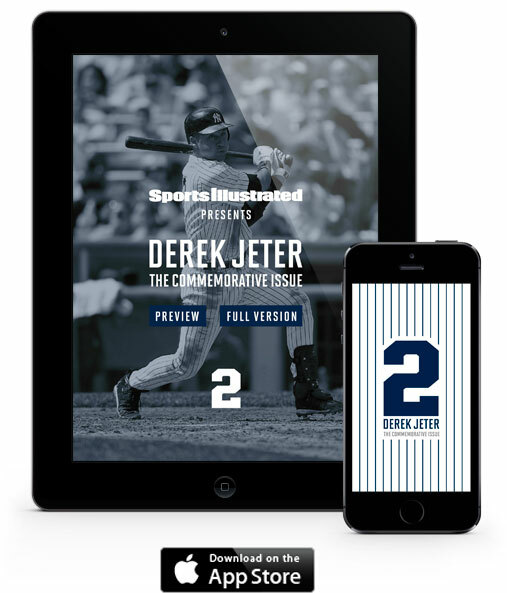 This year Jeter launched his own imprint with Simon & Schuster, Jeter Publishing. This week it released its first title, The Contract, an inspirational novel for young readers based on his childhood. He still wants to own a major league team someday. But, next year? “That’s the beauty of it. I don’t know,” he says. “You know what I want to do? Wake up one weekend and not have to go anywhere and do nothing. At the moment he is occupied with trying to scratch out a few hits. Ballplayers, even the greatest of them, make for lousy novelists: They write terrible endings. Ruth quit midseason in 1935 with a .181 average. Mickey Mantle was a .237 hitter on his way out in ’68. Mike Schmidt, hitting .203, suddenly left in tears on an ’89 road trip. Cal Ripken hit .239 in his exit year of 2001. 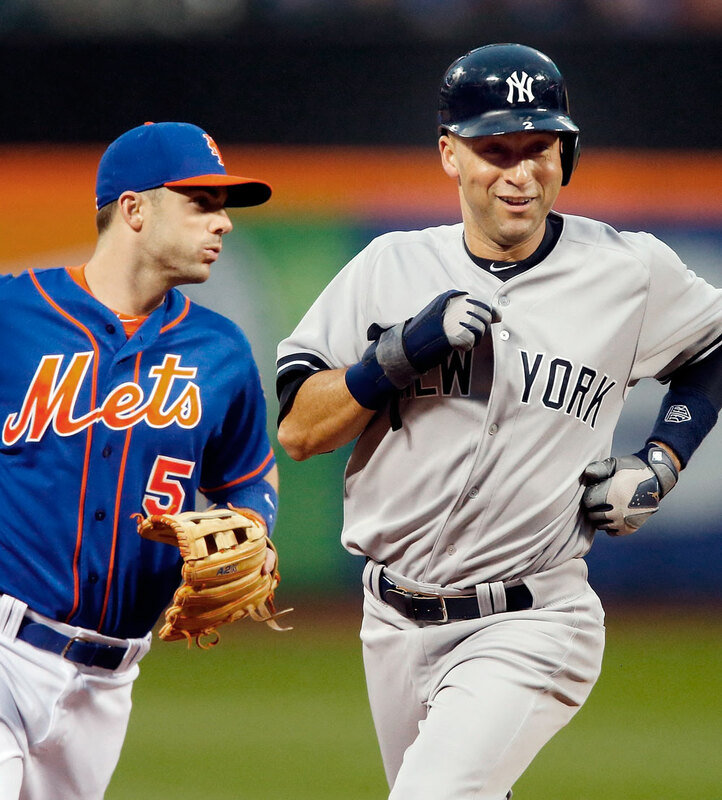 Jeter is no different, except for how much he has played this season: 139 games. Only four Hall of Famers ever played more in their last year: Jesse Burkett of the 1905 Red Sox (148), Al Kaline of the ’74 Tigers (147), George Brett of the ’93 Royals (145) and Mantle (144). None of them hit better than .266. The slow, painful death of a baseball career eventually fades from memory, as it did for the Mick and DiMag and the rest, and in our minds we keep them forever young. 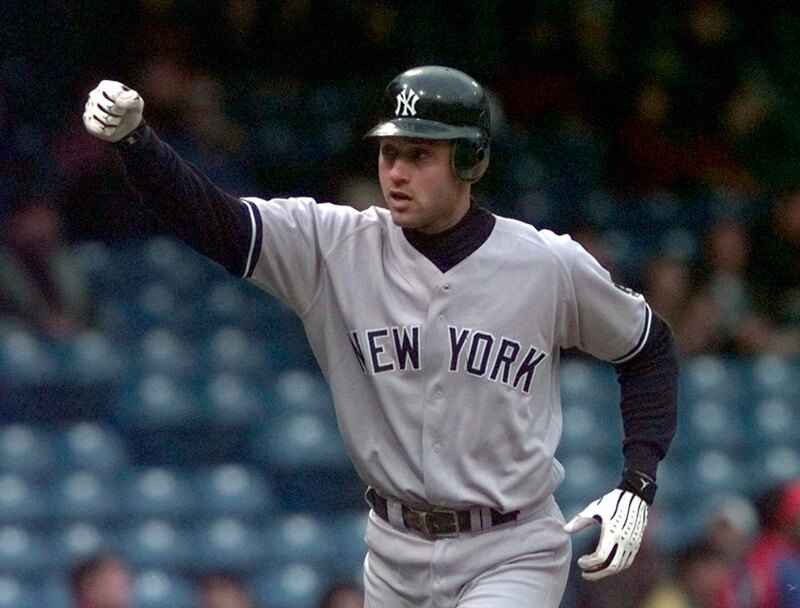 For Jeter, the apex of his youthful skills and his mastery in the spotlight was Oct. 26, 2000. It was the night the Yankees won a contentious, nerve-jangling, all–New York World Series against the Mets. The Mets had seized momen­tum in the Series with a win in Game 3. 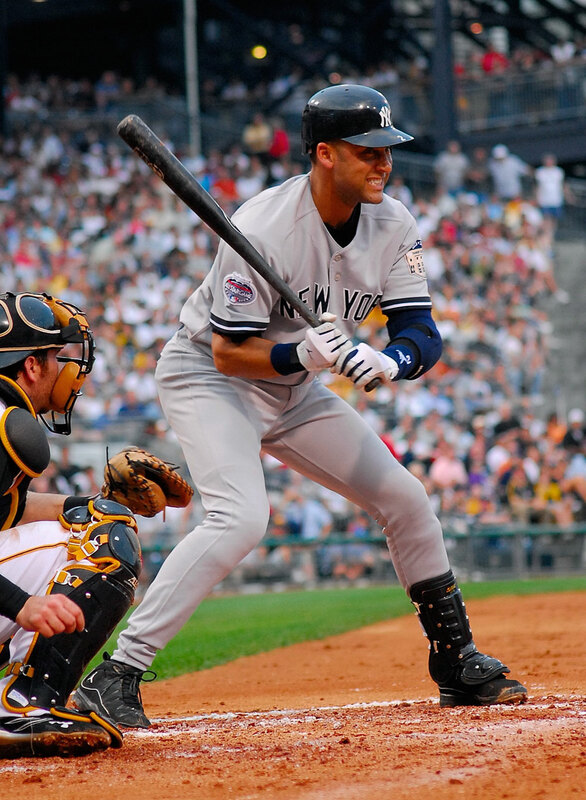 Shortly before Jeter came to bat to begin Game 4, he smiled at Torre and said, “Don’t worry, Mr. T, I got ya.” Then he hit the first pitch of the game for a home run. The Yankees won 3–2. 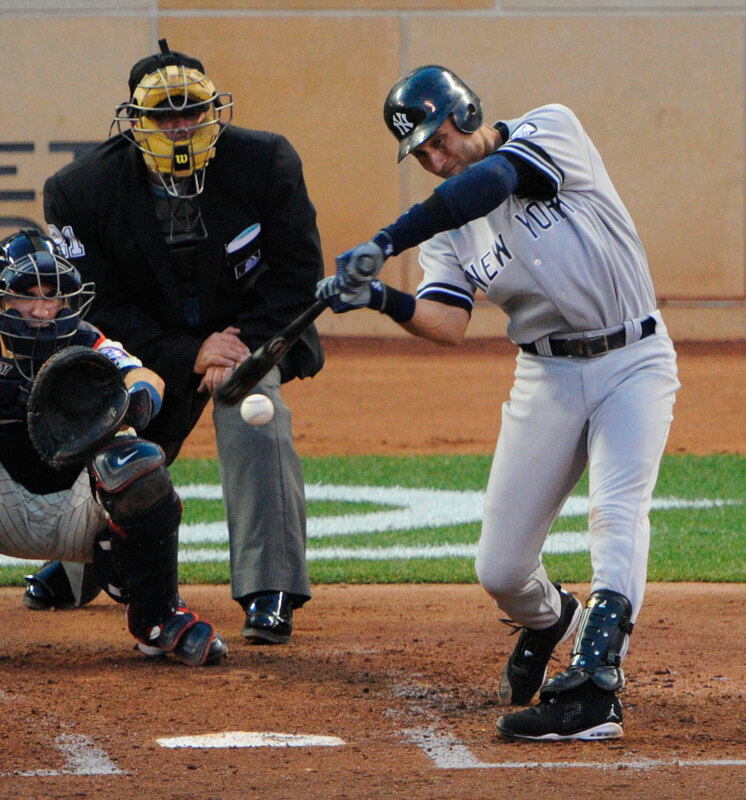 They were losing Game 5 in the sixth inning 2–1 when Jeter did it again, homering to tie the score. His postseason games were beginning to look as predictable as a ­MacGyver episode. 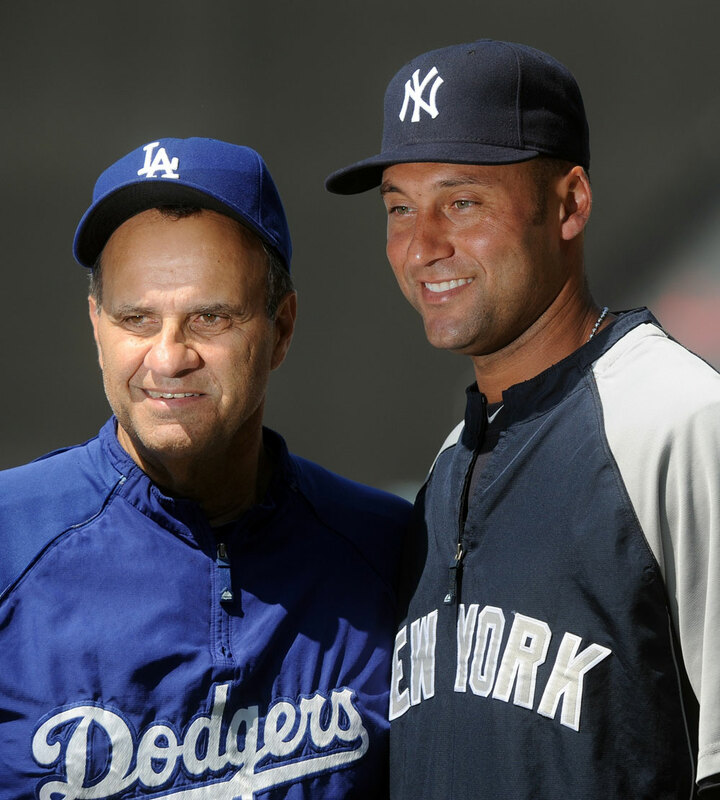 Jeter’s confidence and humor impressed Torre (left) from the start, while his abhorrence of losing forged a lasting bond with the Boss (right). Torre still was learning about his rookie shortstop then. He wasn’t sure if he needed to talk to the kid, settle him down. He kicked around the idea in his head until Jeter happened to walk past his office on his way out of the clubhouse that night. Jeter stuck his head into the doorway. Torre smiled and shook his head at the kid’s confidence. The next night Jeter went 3 for 5, and the Yankees won 5–4. 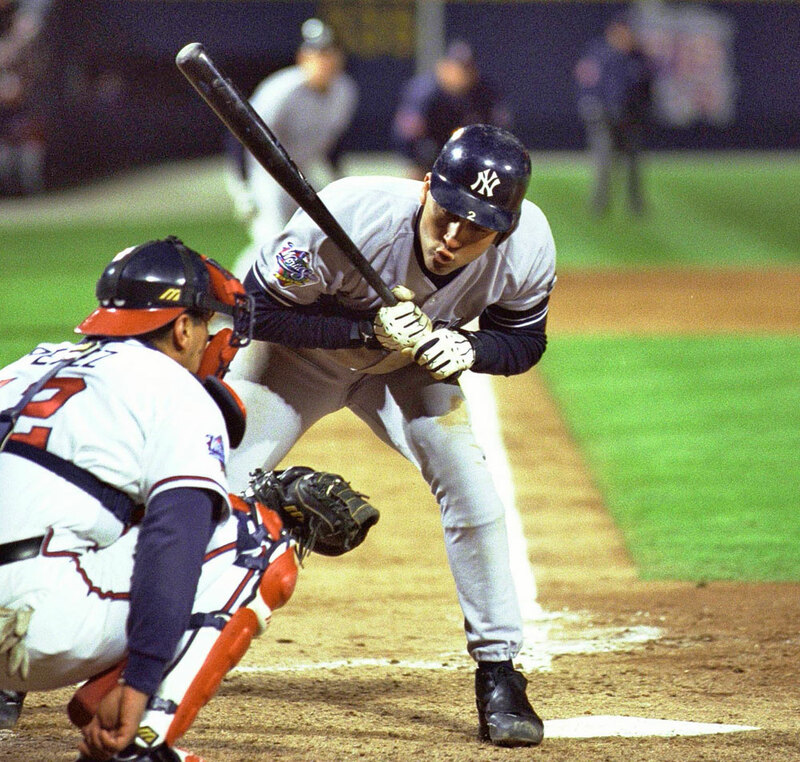 Beginning that night and up until the 2001 World Series, the Yankees won 76% of their postseason games (53–17) and 93% of their postseason series (14–1). Jeter batted .320 in that stretch. That night at the club, trying to shout above the music and into his ear, I told Jeter that I needed to arrange an interview with him. He told me he would call me in two days: He was going out to dinner with his parents the day after tomorrow and would call me at 8 p.m., after they were done. While driving home that night I realized I had made a terrible mistake—he had my number, but I didn’t have his. My entire story, which now would be up against its deadline, hinged on an athlete remembering to call me two days after saying he would in the wee hours at a Manhattan nightclub. I sweated out two days. 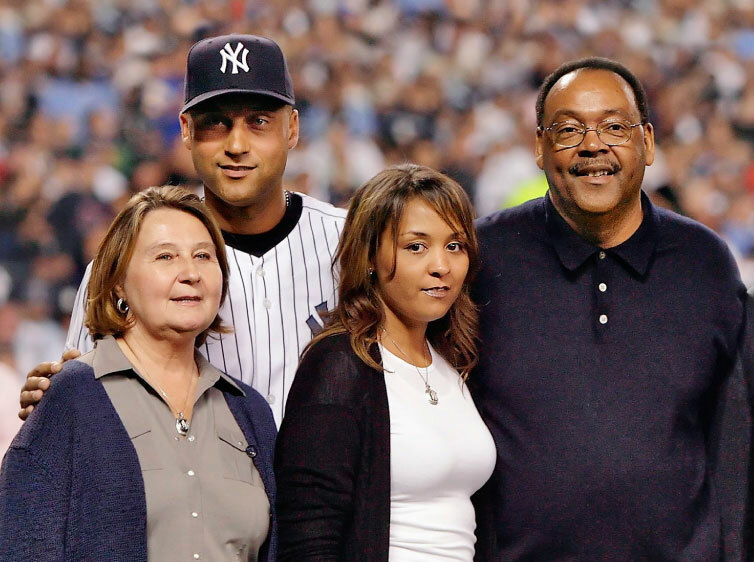 Dot and Charles taught Derek and his sister, Sharlee (here in 2008, before the final game at the old Yankee Stadium), to focus on the positive. Dot grew up as one of 14 children of a white church handyman in New Jersey. Charles, who is black, was raised by his mother in Alabama and became a substance-abuse counselor. They never permitted Derek to use the word can’t around the house. Anything was possible with hard work. There is no doubting whence comes his distaste for negativity. It is beginning to come into focus. How many people influence a public life? “Oh, man, if I named them all, you’d have two pages just of names,” he says. “You know, like the movie credits that roll at the end.” But look back at the names he did bring up, and there is a theme. They all go back to before he became so familiar: Denbo, Butterfield, Williams, Raines, Torre. Here’s the kicker: These were the Gulf Coast League Yankees of 1992. The story could have been told by a teammate in 2014. That’s how you prosper across two decades in New York as the most famil­iar player there ever was: You were nearly fully formed before the klieg lights hit. The mortar of the man had set. It’s not just the fans in New York. 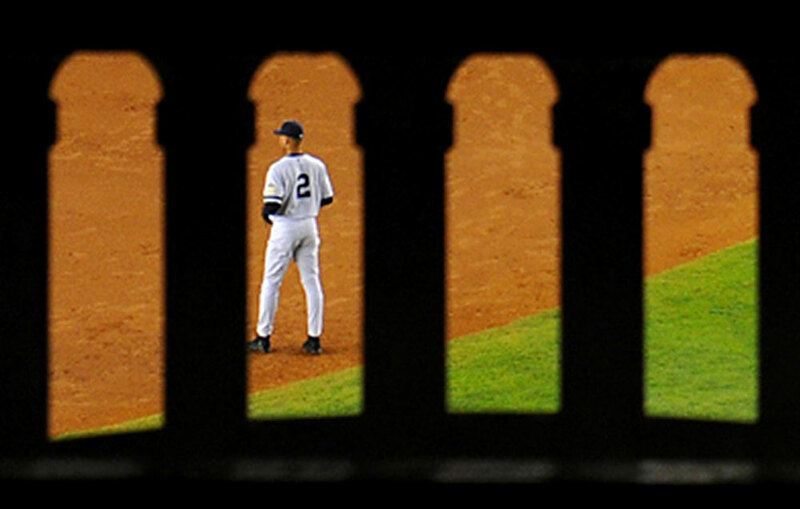 Every last stop for Jeter has brought an outpouring of thanks from fans. “It’s been surreal,” Jeter says. “I’d be lying if I said it didn’t feel good, because I guess they appreciate how you played. But more importantly, if you’re an Orioles fan, a Rays fan, a Tigers fan, and you’ve been going to games over the last 20 years, whether they beat us or we beat them, there’s a good chance that I was a part of it. And our job—we’re playing a game—but our job is to entertain and bring joy to people, and I think people have appreciated it. The last ovation will come on Sept. 28 at Fenway Park in Boston. All these people in all these cities are cheering not just a career with more base hits than all but five men who ever played the game. They also are cheering how he did it. And when they do, they also are cheering how Dot and Charles prepared him for the most brightly lit baseball life there ever was.